To ensure the quickest service and correct parts, please read carefully through the descriptions below. Due to numerous internal variations in the A833 4-speed transmission throughout its 23 years of production, identification of certain components is critical in determining the correct rebuild kit, synchronizer stop rings, bearings, etc. 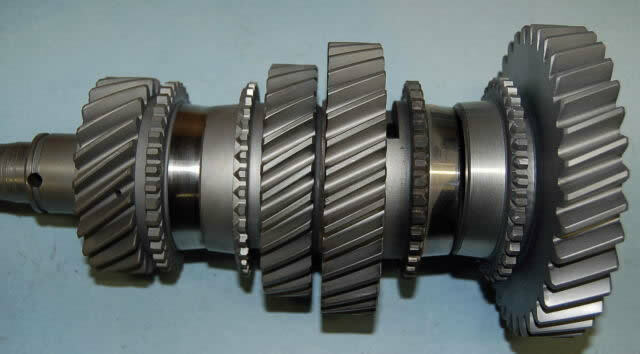 will enable us to verify the correct bearings, tailshaft bushing, and seals for your transmission. Casting numbers from the main case DO NOT supply any useful information, as the same cases were machined for both large and small front bearings. 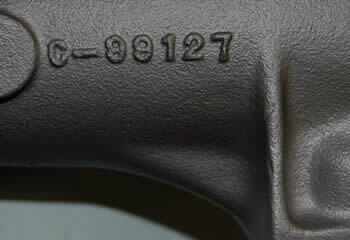 Beginning with the 1968 model year (July 1, 1967), the main case has a small (3" by 7/8") raised, machined rectangular pad on the passenger side of the transmission, just above the casting number. 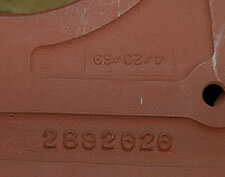 Along with the vehicle's serial number stamped onto it, this pad will have a second line beginning with "PP833" followed by a 4-digit (10,000 day calendar) date code, such as "2264" (10-9-67) or "3055" (12-08-69) and sequential assembly number (405) for that day (pictured). This date code is helpful to us in determining what synchronizer stop ring is used, as MOST 1970 and later (2895, 7-1-69) transmissions use the lug-style (SR307) synchronizer stop ring. All 1969 and earlier transmissions (Up to 2894, 6-30-69) used the 3-notch style (SR294) synchronizer stop ring, UNLESS the transmission had been serviced in the early 1970s, and the new style synchronizer assemblies were installed. As mentioned in the History of the A833 Transmission, many different gear ratios have been used in the Chrysler 4-speed transmission in 23 years. 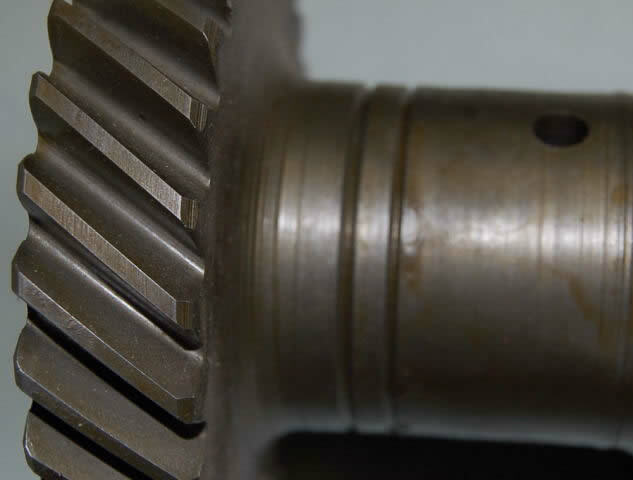 Tooth count on gears help in identification, BUT some gears have the same tooth count even though they are from a different ratio. 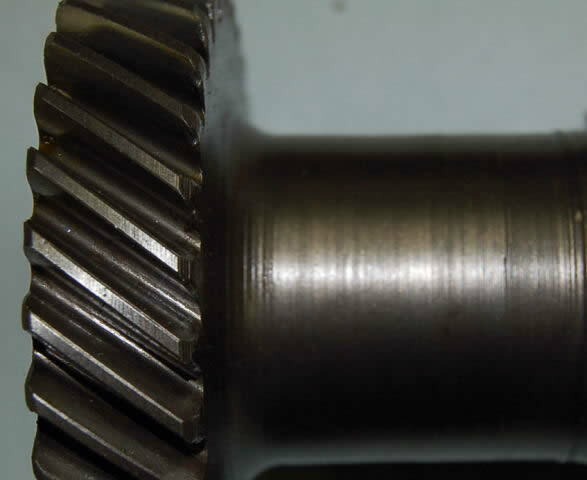 First speed gears carry no identification marks, as the three different 23-spline transmissions utilized the same 1st gear. 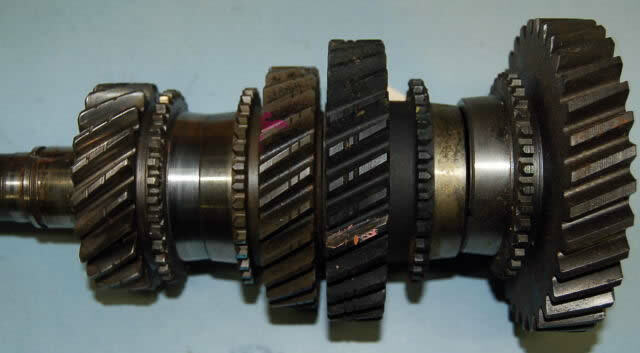 The two 18-spline ratios also used the same first gear. 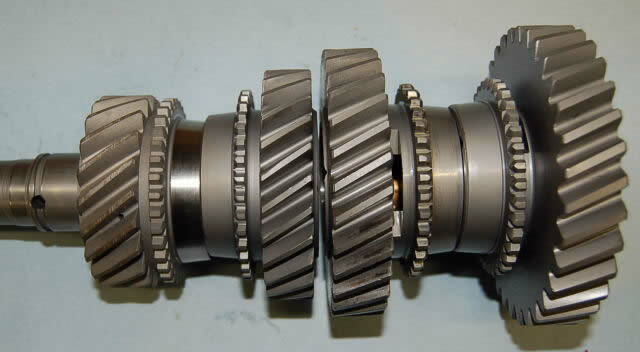 However, NO gears are interchangeable between 18- and 23-spline transmissions. 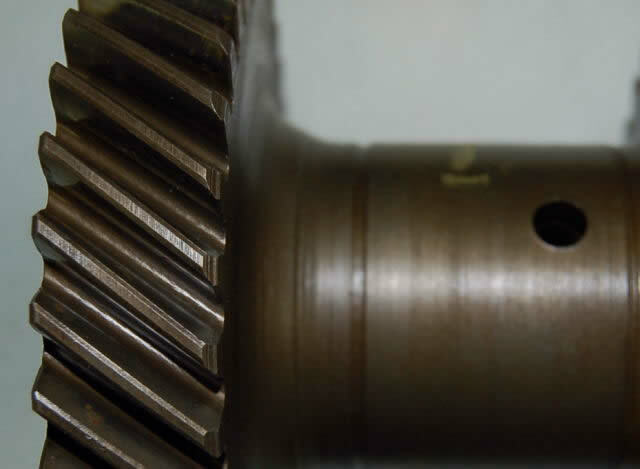 This might be a good time to mention that all 18-spline 1st, 2nd, and 3rd-speed gears are bronze bushed. 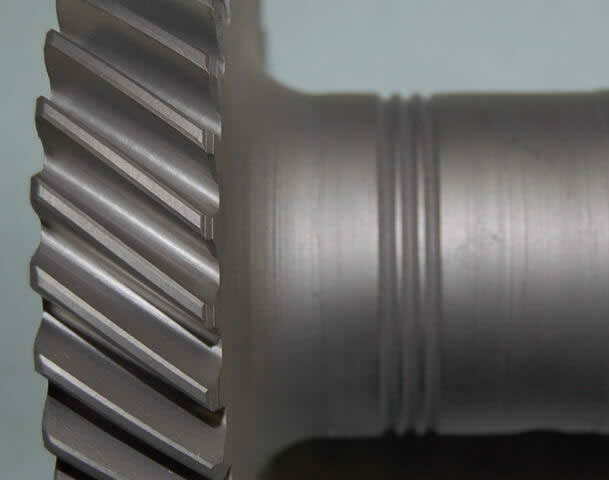 However, not all bushed gears are 18-spline. 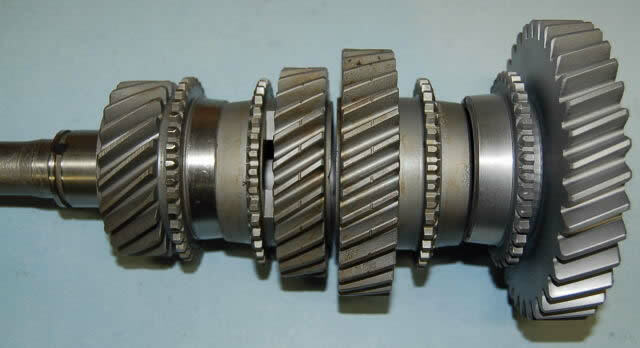 We have seen some early NASCAR 23-spline transmissions with bushed speed gears as well. All factory (original equipment) Mopar/Hurst 4-speed shifter mechanisms can be identified by the four digit number on the reverse lever, which is the longest of the three. 1968-75 A-body and 1968-69 B-body uses #6353 (as does the later truck overdrive), 1970 B-body #7174, and 1970-74 E-body/1971-74 B-body #7180 (which happens to be stamped upside down). All of these have 5/16" holes for the reverse linkage rod attachment. A common Hurst aftermarket/replacement shifter mechanism (for most A & B applications) has #6370 on the reverse lever, and utilizes a 1/2" hole and a reducer bushing. The 1963 T10 Borg Warner Hurst mechanism reverse lever is #2041, and the early 1964-65 A & B-body Hurst mechanisms both use #2336 reverse levers, which is stamped on the right side instead of the left. However, the shift handle stubs (where the Hurst handle bolts on) is different on these two mechanisms. 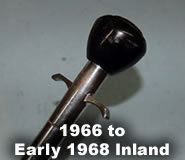 1966 through about January 1968 production, Ma Mopar used an Inland shifter mechanism and shift handles, which are easily identified by the reverse lockout "T" handle, and the unique teardrop shaped shifter knob. Two different shift handle attachments have been used on the Hurst mechanisms. 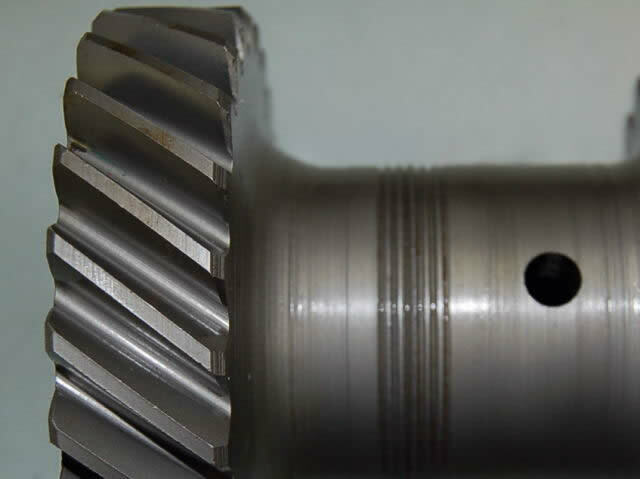 The early mechanisms (1963 T10/1964-65) use a solid shift stub that is drilled and tapped for attachment bolts. 1968 introduced the slip-in (or bayonet style) handle attachment, and was used until some early 1971 applications. To remove these handles from the mechanism, a 010" feeler gauge is inserted between the handle and the stainless steel retainer on the driver�s side, which releases the locking tang from the notch in the handle, allowing the handle to be pulled out. In late 1970, some applications switched to the bolt-on style handle attachment. The first style is similar to the early bolt-on mechanisms, as the threaded anchor is on the stick bottom, and the bolts pass through a small plate to clamp the shift handle into the mechanism. 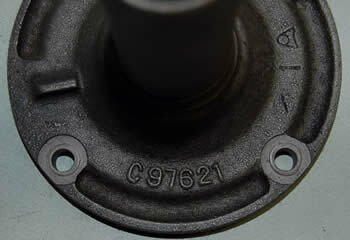 On later bolt-on style mechanisms, the holes are in the stick bottom, and the small plate has the threaded anchors. Spacing and length of the three levers are unique to each style mechanism.